Sports of the extreme by excellence, air sports arouse the interest of the enthusiasts of thrills. Paragliding, paramotor, parachute, speed riding... As many disciplines as records and breathtaking trials. At each ride, its adrenaline rush, its proofs of courage and its risks limited by the lines offered by COUSIN Trestec. Also for kitesurfing, which is a sliding nautical sport. Cousin Trestec offers now to kite manufacturers a complete line of revolutionary lines, bridles and pre-lines based on Dyneema® fibers allowing to meet all expectations. Sports of the extreme by excellence, air sports arouse the interest of the enthusiasts of thrills. 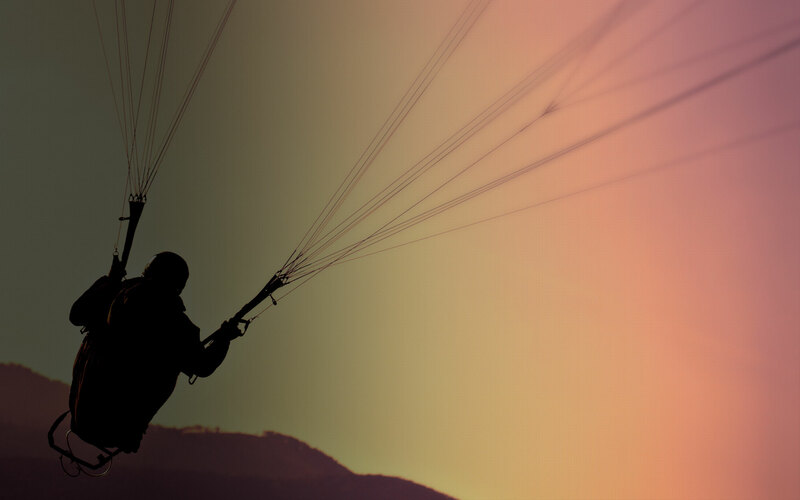 Paragliding, paramotor, parachute, speed riding… As many disciplines as records and breathtaking trials. At each ride, its adrenaline rush, its proofs of courage and its risks limited by the lines offered by COUSIN Trestec.